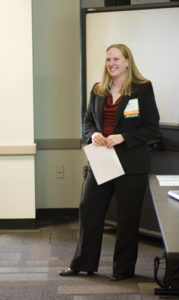 Rachel Wright delivers presentations and training workshops for IT conferences, professional organizations, and her alma mater, Radford University. Rachel’s approach to speaking is different. Instead of boring slides and data points, she uses real mistakes and examples, to help the audience avoid and overcome similar issues. Rachel is an entrepreneur, process engineer, and Atlassian Certified Jira Administrator. She is available for speaking engagements, interviews, podcasts, workshops, and appearances. She is also happy to speak to groups via telephone or web conference. Let our industry knowledge speak for itself. Join us at our upcoming events or contact us for more information.